Fresh hip hop sounds with DJ Ace, at Mad on Yas Island. Free bar for the ladies. 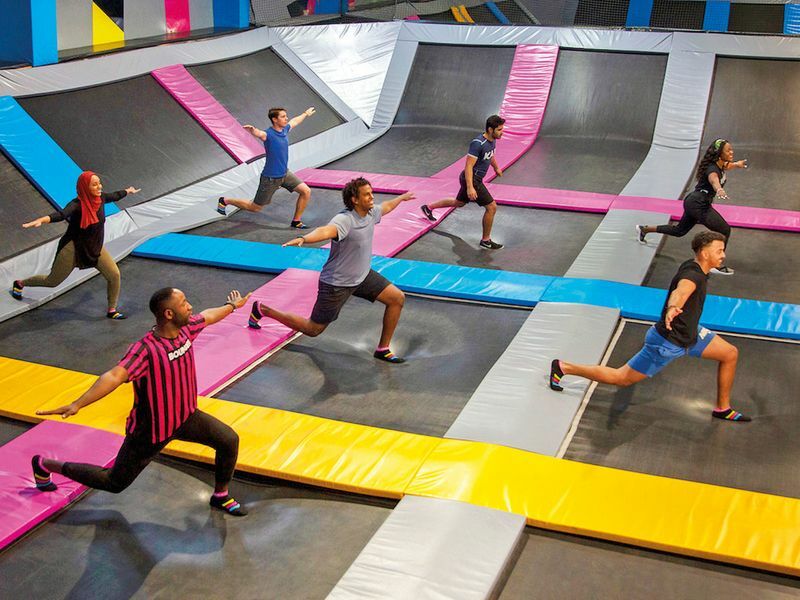 Bounce Fit has unveiled affordable membership prices (Dh199 per month for a year and Dh249 per month for six months). Sessions available each day and a total of 18 classes per week, so whether an early bird or night owl, there is something for every schedule. Packages are available for the Al Quoz venue in Dubai and Marina Mall venue in Abu Dhabi. Three days of generating creativity and inspiration, gathering talents to re-enforce the creative community. Talks, workshops, and a creative market with professional creatives. At Dubai Design District (d3), until Saturday. Tickets from $259 (Dh950) with the all-inclusive pass at $499 (Dh1,832). Arabian Courtyard Hotel & Spa is paying tribute to the Sikh community by celebrating the festival with a special menu at Mumtaz Mahal. Enjoy your meal while listening to live Punjabi and Hindi songs performed by the resident band. Served from 12.30-3pm for lunch and 7pnm-2am for dinner, until April 19. A series of live stage shows with the adorable little blue guys on stage featuring a heart-warming story, lots of fun music and dancing and plenty of giggles. Young ones can also have a chance to meet the characters in between each show and take home a customised picture (spend of Dh150 required). At La Mer Dubai, 5-8.30pm. Head down to a relaxing yoga session, after work to rejuvenate, improve respiration and boost vitality as Dubai Studio City is offering free outdoor yoga classes in collaboration with OptimalFitness, every Thursday at 5.30pm in April. Takes place at the Dubai Studio City Amphitheatre. The Berlin-based duo (aka Walter Merziger and Arno Kammermeier) who co-founded the legendary dance label Get Physical Music, will be live at The Penthouse, FIVE Palm Jumeirah Dubai. Pre-Party brunch includes unlimited house beverages and tunes from resident DJ NSI, 9-11pm. Three food options to choose from, starting from Dh149 for women and Dh249 for gents. Barasti on Tour has a special prize up for grabs – 10 tickets to Europe’s epic music festival. Following a month-long competition, 10 lucky winners will be heading off to Belgium to experience the EDM festival. To enter, head to Barasti Beach and get yourself a beverage for your chance to be in the running. 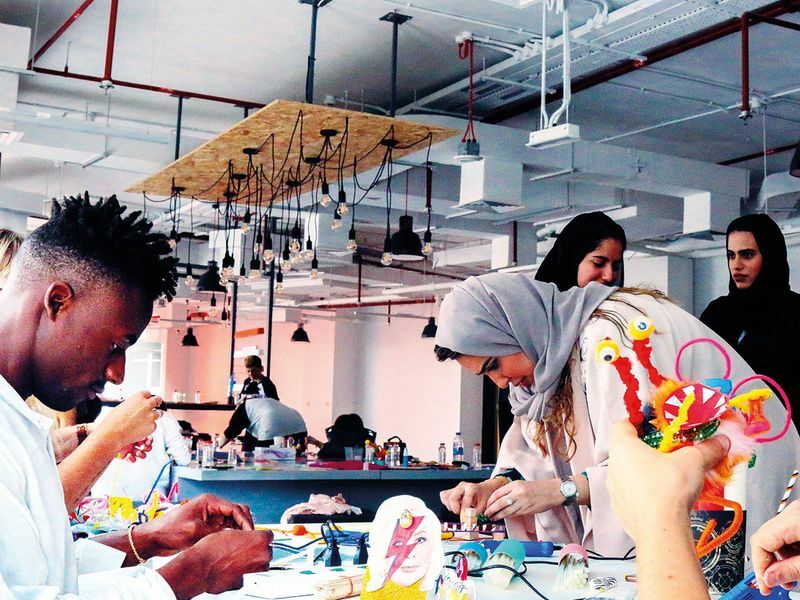 The winners will be announced at Barasti on May 1. The Parisian electronic music crew brings their blend of sharp Western electronic music with Eastern sounds and vocals. Expect a mix all kind of Eastern music (North Africa, Lebanon, Egypt, Turkey or Mumbai), at Asia De Cuba, Westin Mina Seyahi Hotel, Dubai Marina. Doors open at 9.30pm, entry Dh175 at the door. The new experience by Platinum Heritage gives visitors an authentic glimpse into the life of an Emirati Bedouin, with guests able to enjoy a day out in the desert. Offering an engaging cultural experience, the excursion showcases the true essence of life in the desert. Options to visit during the morning to watch the sunrise or in the afternoon to enjoy the desert sunset and learn to saddle, ride and look after their own camel as they join a Bedouin caravan, travelling through the desert before they arrive at the camp. Situated in the Al Marmoom Desert Conservation Reserve. Packages from Dh495. City Centre Me’aisem’s ‘The Kids’ Backyard’ is back with more entertainment and educational activities. Children can participate in origami and glass painting sessions, braided bracelets and flower making workshops, quilling and collage art sessions that will take place on a regular basis during the camp. Spend of Dh100 at the mall required for an access token to the zone. Daily until April 20m, 10am-10pm, workshops from 2-6pm for ages 5-10; children below 5 to be accompanied by a guardian. The Dutch superstar will be performing live, supported by Teri Miko and Mkshft, at Dubai Marine Beach Resort & Spa. Doors open at 7pm.